STRYKER (AUS) (Bay 2006-Stud 2011). 2 wins to 1350m, BTC Classic, Gr.3. Sire of 232 rnrs, 123 wnrs, inc. SW Rangipo (New Zealand Derby, Gr.1), Strykum, SP Labdien, Galvarino, Luen on Eagle, Persian Princess, Miss Loren, She is Stryking, Miss Nymeria and of Greviste, Mr Markou, Perpetual Crisis - Very Lucky (H.K. ), Andrioli, Metier (Star), Sonesta, Beidi, Stryke in Style, Brains, Flop, Stryke Rock, The Auditor, Bay Harmony, Fast Stryke, etc. Lynch Mob (g. by Wanted). 5 wins from 1400m to 2050m, A$122,915, to 2018-19, SAJC Table & Chair Co H., Happy Engagement Josh & Lisa H., Hit107 H., 2d SAJC TAB H., 3d MRC Ladbrokes Live Streaming H., SAJC Ubet H.
Oratorium (g. by Oratorio). 2 wins at 1600m, 2400m, 3d MRC Betfair H.
Accoy (f. by Unencumbered). Winner at 1000m in 2018-19 in Aust. Bottega Louie (g. by Choisir). Winner at 2 in Aust. Quantum Maelstrom (g. by Encosta de Lago). Winner at 1600m in NZ. Never in Doubt. 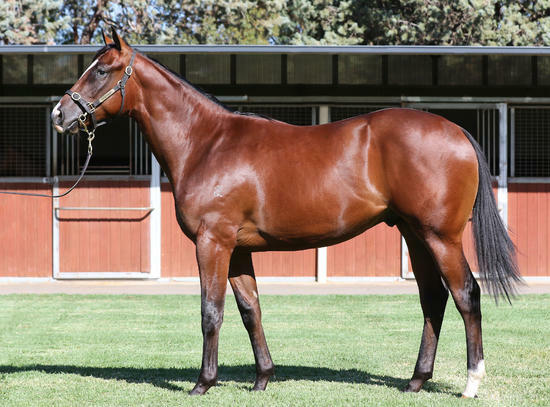 3 wins from 1600m to 1700m to 2018-19, 3d BRC Sky Thoroughbred Central 2YO P.
Miss Vigilante. Winner at 1600m in 2018-19 in Aust.